To solicit positive emotions in the viewer. 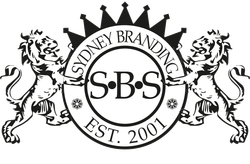 At Sydney Branding Services, we offer branding design, logo design and development, print production, business stationery, website design, branded email marketing, professional bulk mailing tools, brand recognition through search engine optimisation and search engine marketing. 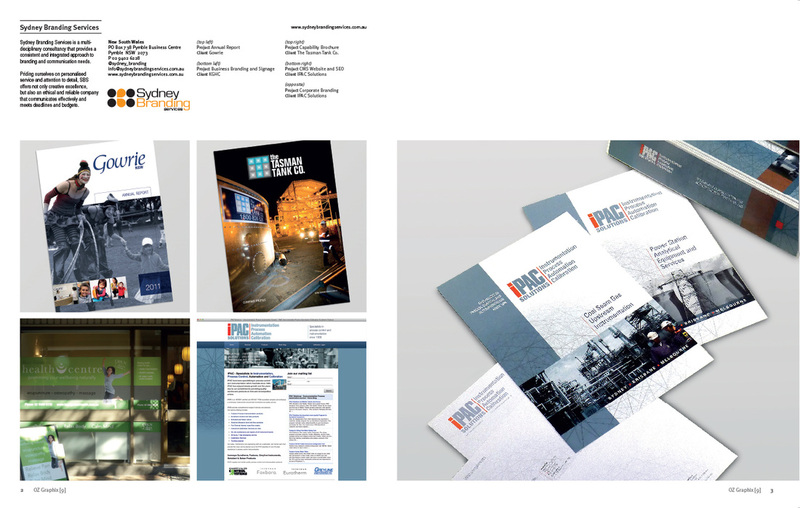 If your existing brand is in need of an overhaul or you have a need to create something new, Sydney Branding Services has the experience and process framework to create the appropriate identity for your organisation. 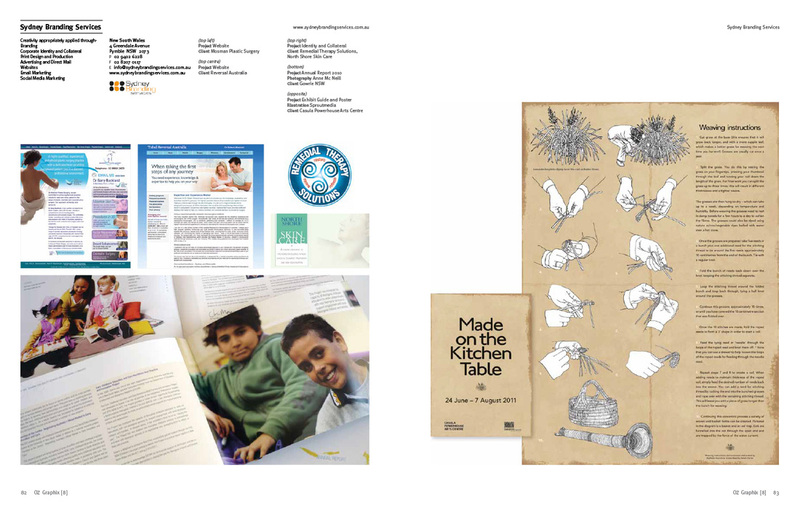 Sydney Branding Services has been published for 3 consecutive years in OZ Graphix - click the images below for a larger view of the SBS feature.